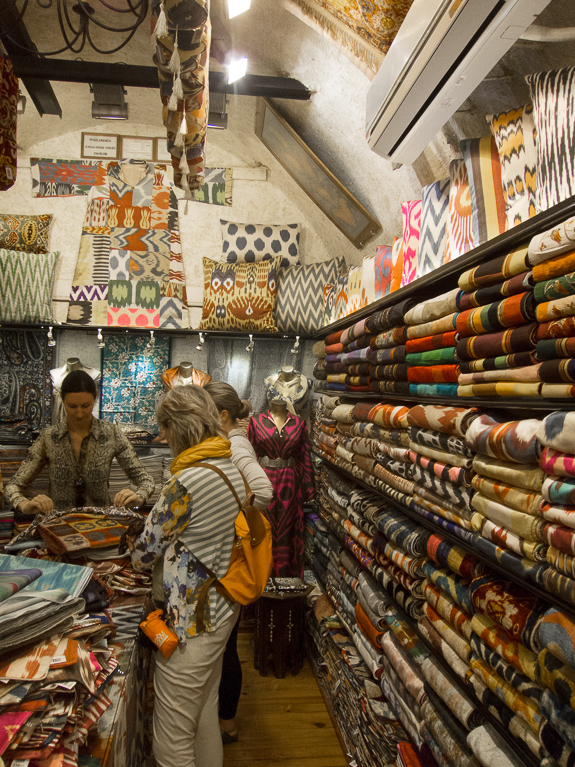 I just returned from Turkey and discovered this wonderful fabric shop located in the Bazaar in Istanbul . 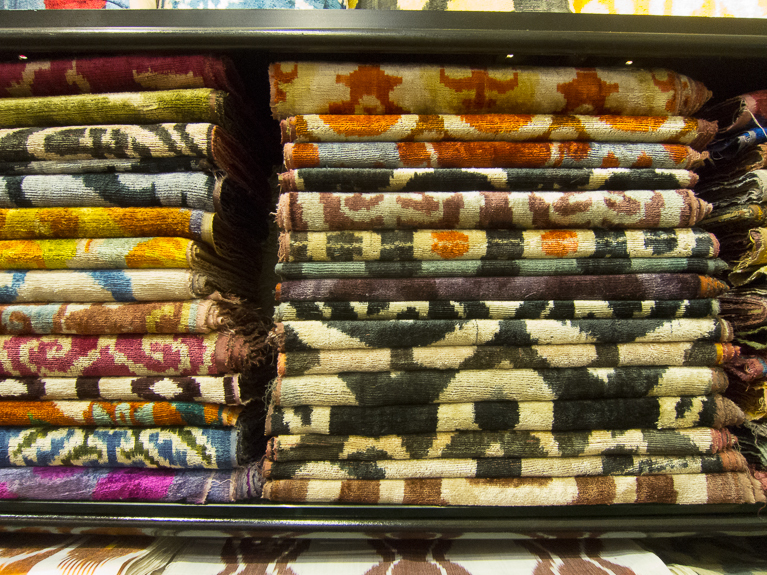 The textiles are not Turkish however but come from Uzbekistan. 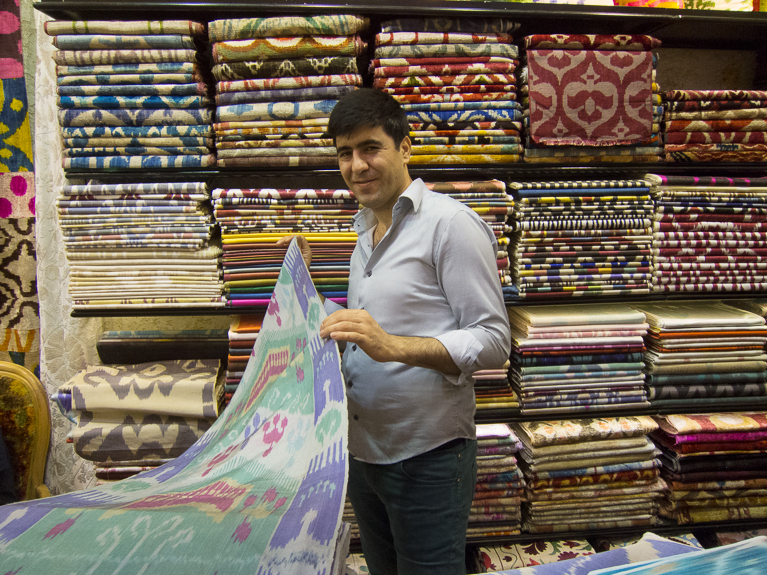 Prices for the velvet ikats were 90 to 120 Turkish Lira. That is $45 to $60.00 a meter. So, not inexpensive. Unfortunately the few fabric shops that were geared for local non tourists were very disappointing, with a very small selection and mostly ugly rayon prints. The prints are seen mostly in the headscarves the women wear and hopefully I can find some pictures that I can post.